It is said that simplicity is the essence of good design and our craftsmen certainly took this adage into account when making this sapphire and diamond ring. 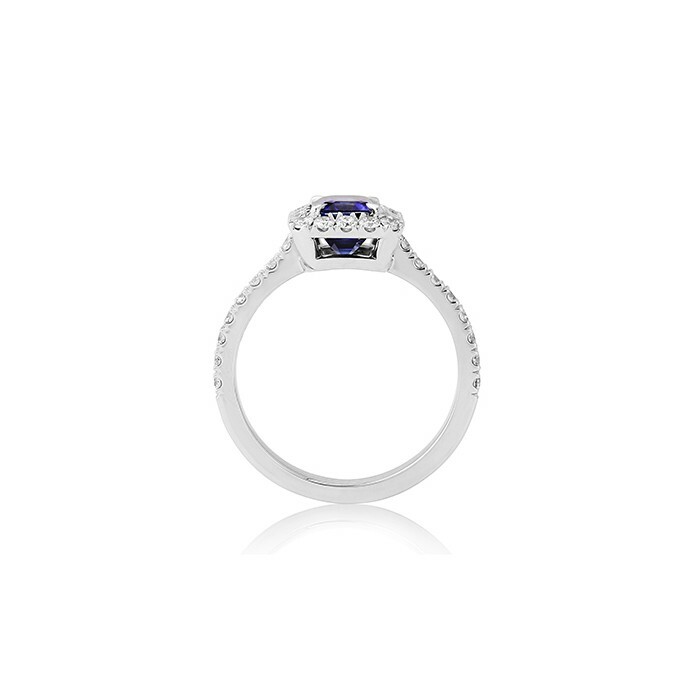 Taking an octagonal Sri Lankan sapphire of exceptional quality as the central feature, they have first set it in four arrow-style claws and then surrounded it with a fine pavé set halo of eighteen sparkling white diamonds. The diamonds are then continued onto the shoulders and half way round the shank leaving no metal on view when worn on the finger. This beautiful and unique ring is totally hand-made in platinum.